LIFE AS A BONTRAGER: God Is Adding Another Daughter To Our Family!! We are PRAISING THE LORD for the engagement of Carson, to his beautiful girlfriend (now fiancé) Carolina Bowers! Our hearts are filled with joy at the awesomeness of God in writing their love story + bringing their lives together. Yesterday evening, while out in the woods, on the 6 month anniversary of their relationship, Carson asked Carolina to marry him. And...she said YES!! Congratulations!! Joy radiates from their smiling faces! Oh my Happy dancing here! Oh my WE ARE THRILLED! We will be praying as you start your journey and making plans for your wedding! Oh MY WE ARE SO HAPPY! We are blessed to know you and that your heart is to serve the Lord and now to serve HIM together and bring CHRIST GLORY in all things! So excited for this joyous news. If you are able, can you do a separate blog post on your family's views and any guidelines you have for dating/courtship? Does your family do chaperoned/group dates? We probably won't be doing a post on that, but thanks for asking! First of all, because each person has different convictions/standards, and secondly because it isn't our place to tell other people how to do their relationships. The main point is for each couple to have their own personal commitment to purity + godliness, and also to seek counsel + accountability in their relationships. That's great!!! So happy for Carson and Carolina! Looking forward to hearing their story! I am so thrilled to hear the news! How does your family do courtship? Because in every family, it is going to be different. Is there an age or way you (your family) go about it? Once again, congrats to Carson and Carolina!!!!! Can't wait to hear their unique story because everyone is different and beautiful. His blessings be with you all! Yay! Congrats! Can't wait to hear more. That is so exciting. God bless. Congrats to Carson and Carolina! I am so glad to hear the news and glad to hear you are all getting a great sister or daughter; a new member to the Bontrager clan, huh? How are the kids taking the news? Love to hear from all them! I am too asking about your Bontrager family guidelines of courting. Because every family does things differently. The kids/rest of the family...are all thrilled to pieces! We all simply adore Carolina + are so thrilled to have her as another sister! Our household has been wild with delight the past 24hrs! Congratulations! God is so good! Congratulations to Carson and Carolina! Who is the writer of this blog post? Looking forward to the story and pictures. Congratulations to Carson and Carolina!!! May God guide your steps and richly bless you as you start this new chapter of your life *together,* seeking to live for His glory!! Tell Carson I am happy for him and Carolina. I have enjoyed talking with him in past visits. Now you family has really grown for am I correct that is a big family also? 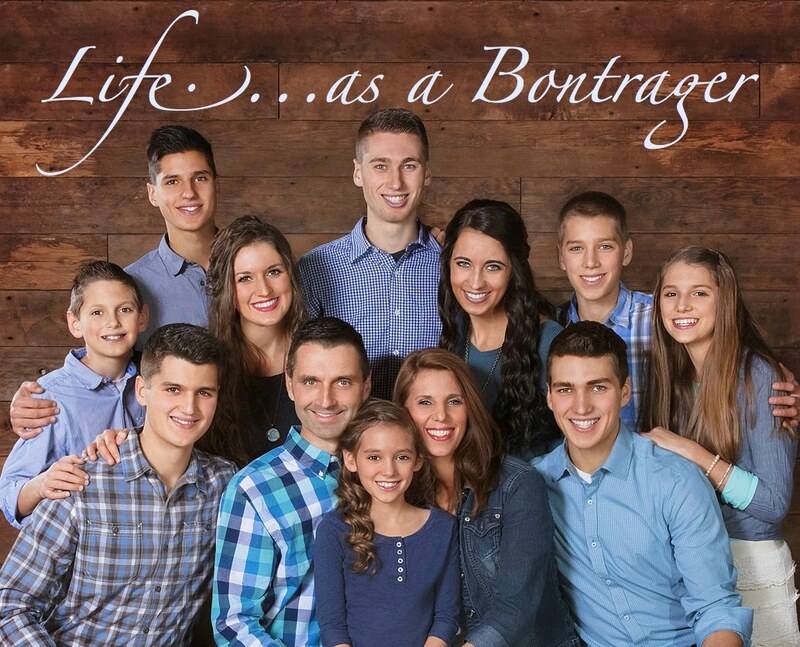 Yes, you are right-the Bowers family has nine children. So many yays!! Can't wait to celebrate + give YOU many hugs soon, at the big party! Travel safe! First Week Home on the Farm! The Last Five Days on Tour!